We hope you enjoy being a part of our great country school with a family spirit. As the term draws to an end, I would like to thank all of our students who have shown a positive attitude to learning and shown positivity to the people around them. Some students have shown great resilience, especially in the face of new learning opportunities or tricky social situations to navigate. Well done! Remember Hurihia to aroaro ki te ra tukuna to atarangi kia taka ki muri ia a koe. Turn your face to the sun and the shadows will fall behind you. See you back at school for Term 2 on Monday 29 April. Ali. Our Hall is shaping up to be a great space, with the earthquake strengthening work, the new verandah and the deck almost complete. Our local builders, services and trades people have been a good team to work with. Thanks to past Festivals, the school has been able to finance this project. The Hall will soon be available again after school for community use, birthday parties etc! Our most focussed learning hours are between 9am and 12.30pm. We break this learning time with movement and fitness activities and interval for 20 minutes at 10.30am. Lunch is eaten in the lunch area outside the Indigo Room from 12.30pm until 12.45pm. This is followed by playtime until 1.20pm. Classes finish at 2.50pm. Details of our rules, routines and bus routes are given in our Information Booklet which is available to download below. Teachers are available to meet with parents between 8am and 9am or 3pm and 4.30pm. Please ring 03 526 8842 for an appointment. - or contact a class teacher directly. 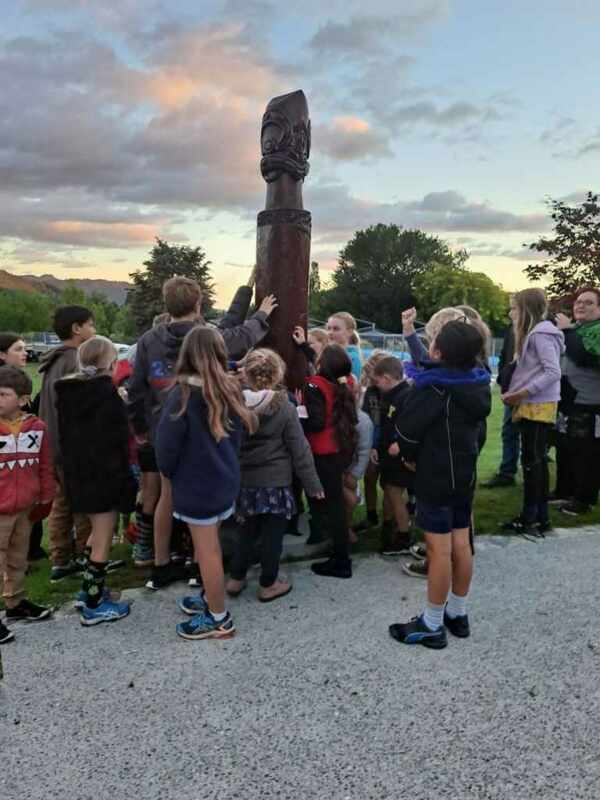 Many thanks to everybody who ensured our 150th celebrations, reunion activities and 17th Ngatimoti Festival was another great success this year. -Our wonderful community; landowners, past and present students, staff and the hard working and dedicated parents. -Local businesses who contributed with services or donations. Your commitment, goodwill and generosity are hugely appreciated. Thank you again for your support - see you again next Labour Weekend Sunday! To contact the office please use the Enquiries link above or call 03 526 8842 and leave a message. Thank you. For school related payments only (not festival).